The AMS Wide Gem Snack Machine is an economical vendor that lets you vend 40 selections of your favorite snack items. This vendor does well in environments where warm temperatures are not a factor. The Wide Gem is made of all steel construction just like all other snack machines in the industry. Medium locations. AMS Wide Gem Snack machine- AMS Wide Gem Snack machine is a good choice for those who are looking for something big in their limited budgets. AMS Wide Gem Snack machine is a pretty economical vendor machine that lets you vend 40 selections of your favorite snack items: it has a whopping range of 40 selections, 20 snack-chip and 20 cracker-candy to choose from. The AMS Wide Gem Snack Machine is good for conditions where warm temperature isn’t an issue. The AMS Wide Gem Snack machine is built of heavy gauge steel and most of its parts are the same as that of the other AMS snack machines. The AMS Wide Gem Snack machine is built of heavy gauge steel and most of the parts are the same as the other AMS snack machines. The machine has 40 selections 20 snack-chip and 20 cracker-candy. 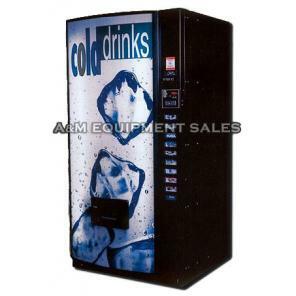 Another machine that is comparable is an AMS 39″ Snack Machine.